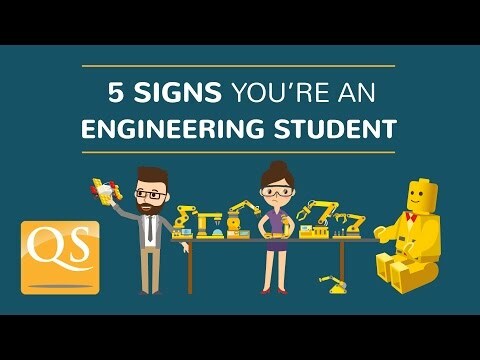 As future creators of railway lines, waterways, roads and space shuttles, to name some of the first things that spring to mind, engineering students are crucial to the development of society. To support this future contribution, universities and other organizations offer plenty of engineering scholarships and fellowships. In recent years, scholarships for engineering students, as well as other STEM scholarships for mathematics, technology and science students, have become more recognized and plentiful in number, allowing many more prospective STEM students to achieve their educational and career ambitions. Below is a list of current engineering and other STEM scholarships from around the world, to help you find the funding you need. If you want to study architecture, we’ve also listed architecture scholarships, and we have a separate list of scholarships to study at the top 10 mechanical engineering schools, based on the QS University Rankings by Subject 2018. KUT PhD Engineering Scholarships for International Students – Scholarships for engineering students studying towards a PhD at Kochi University of Technology (KUT) in Japan. Malaysia International Scholarships (MIS) – International scholarships funded by the Malaysian government and awarded to incoming students at Malaysian universities. Priority given to science and engineering students. NTU University Engineering Scholarship – Scholarships for undergraduate engineering students at Nanyang Technological University (NTU) in Singapore. Only open to Singapore citizens or permanent residents. NUS Science & Technology Undergraduate Scholarship – A scholarship for outstanding undergraduate students from all Asian countries excluding Singapore, which covers tuition fees, compulsory fees, living costs and more. No separate application is required. Université Catholique de Louvain International Lhoist Berghmans Master Scholarship - Five merit-based scholarships are available per year for international students to study a master's degree in engineering at the university (PDF file). The university also offers Incentive Scholarships for exchange students from partner universities. TU Delft Excellence Scholarships – Scholarship opportunities for geosciences and civil engineering students studying at master’s level at TU Delft in the Netherlands. Arkwright Engineering Scholarships – UK registered charity awarding scholarships to high-achieving first-year engineering students in the UK. IET Awards and Scholarships – Various undergraduate and postgraduate engineering scholarships funded by the Institution of Engineering and Technology and awarded to UK engineering students. IME Scholarships and Awards – Mechanical engineering scholarships awarded to UK students of all degree levels from the Institution of Mechanical Engineers. Imperial College London PhD Scholarships in Chemical Engineering – Fully funded scholarships for outstanding engineering students. NI Engineering Scholarship Program – Scholarships for engineering students, computer science students and physics students. Sponsored by National Instruments and open to UK students. QMUL International Science and Engineering Excellence Awards – Various UK scholarships for international students to study engineering at Queen Mary University of London in the UK. QUEST Undergraduate Scholarships from ICE – UK scholarships for civil engineering students on any ICE-accredited degree program in the UK. Sponsored by the UK Institution of Civil Engineers. University of Manchester Engineering Scholarships – Various scholarships to study engineering at undergraduate level at the University of Manchester, for both domestic and international students. University of Strathclyde Engineering Scholarships – Wide selection of UK scholarships for engineering students studying at the University of Strathclyde in Scotland, UK. Women’s Engineering Society Awards – Various scholarships for women studying engineering in the UK. To find more scholarships for women in male-dominated industries, visit this article. AACE International Scholarships – STEM scholarships for full-time students completing a degree in engineering or another STEM subject. Separate funds available for US, Canadian and international students. AFCEA San Diego Scholarship Program – Various scholarships for engineering students, as well as those studying mathematics or science, to study anywhere in the US. Only available to students from San Diego County in California. AICHE John J McKetta Undergraduate Scholarship – Chemical engineering scholarships for US students, offered by AICHE, the American Institute of Chemical Engineers. ANS Scholarships – STEM scholarships for undergraduate and postgraduate US students, with a particular focus on students studying nuclear engineering. Funded by the American Nuclear Society (ANS). ASCE Samuel Fletcher Tapman Student Chapter Scholarship – Civil engineering scholarships open to undergraduate students in the US and sponsored by the American Society of Civil Engineers (ASCE). ASHRAE Undergraduate Engineering Scholarships – Various science and engineering scholarships for incoming full-time students at accredited US institutions. Funded by ASHRAE, the American Society of Heating, Refrigerating and Air-Conditioning Engineers. Engineers Foundation of Ohio Engineering Scholarships – US scholarships for incoming engineering students residing in Ohio, US. Ford Motor Company Tribal Scholars Program – Mathematics, science, business and engineering scholarships for Native American students studying at undergraduate or graduate level at mainstream US universities or tribal colleges. IIE Scholarships and Fellowships – Scholarships for engineering students studying at IIE-accredited universities in the US. Funded by the IIE (Institute of Industrial Engineers) and open to US students of all degree levels. National GEM Consortium Fellowships – Graduate fellowships and scholarships for engineering students studying at PhD or master’s level at a GEM Member University in the US. National Society of Professional Engineers (NSPE) Scholarships – Engineering scholarships for US students at all degree levels from the NSPE. NEWWA Scholarships – US scholarships from NEWWA (New England Water Works Association), open to engineering students studying at universities in New England in the US. North Dakota NASA Space Grant Consortium – STEM scholarships available for students pursuing science, technology, engineering and other related subjects which support NASA research and hiring needs. Students must be based in and studying in North Dakota at selected institutions. Oregon NASA Space Grant Consortium – STEM scholarships as above, but aimed at students based within the state of Oregon. SME Education Foundation Scholarships – Various STEM scholarships for US students at all degree levels. SWE Scholarship Program – Scholarships for women in engineering studying in the US. Funded by the Society of Women Engineers (SWE). TMS Student Academic Scholarships – Scholarships from TMS, (The Minerals, Metals and Materials Society) open to US students studying metallurgical engineering and related programs at both undergraduate and graduate level. Winston Churchill Foundation of the United States Scholarship Program – Merit-based graduate scholarships for engineering students and other STEM students to study at selected institutions in the US. Australia APEC Women in Research Fellowships – Aims to raise the profile of female role-models in STEM subjects with merit-based scholarships available to pursue research opportunities in partnership with Australian institutions. To be eligible, you must be from one of the eligible Asia-Pacific Economic Cooperation (APEC) countries. Edna Waddell Undergraduate Scholarships for Women in Technology and Engineering – Scholarships for women to study engineering and technology degrees at universities in New Zealand. Only open to New Zealand citizens or permanent residents. Energy Education Trust Undergraduate and Honours Scholarships – 15 scholarships for five participating New Zealand universities are available, to assist undergraduate and honors students with their full-time studies in the fields of science, economics and engineering, provided you have a specific interest in the energy needs of New Zealand. Amelia Earhart fellowship – Scholarships for women in engineering studying for a doctorate or PhD in aerospace and engineering programs. More scholarships for women in male-dominated industries can be found here. Schlumberger Foundation Faculty for the Future Fellowships – Postgraduate scholarships for women in engineering, science and other STEM-related studies at universities worldwide. Funded by the Schlumberger Foundation. This article was originally published in October 2014. It was last updated in March 2018. Hi Seyma, here's a link to our list of scholarships to study in the US. Hi i m Abdul Ghani. I have completed BSc Electrical Engineering and now i m keen to study for MS from a reputable university in Australia. I m not financially able to bear expenses. Kindly help me for a fully funded scholarship. THANKS!! I study electrical in diploma so I need scholarship from your university. hi, I am from Turkey. I took an offer letter from the U.K. about material science for master degree . However, i couldn't get scholarship. Could you give me advice about this? Hello, please take a look at our list of scholarships to study in the UK. There partial scholarships to study in Zhengzhou university. Hi Laura, my Son is studying in Sri Lanka and expecting/ assuming 3 x A* in Maths in International Advanced Level (IAL). He is interested in doing Aeronautical or Aerospace Engineering . Could you please help us to find a BEST university with scholarships which is suiting to our budget ? Thanks a lot for your support. I am supun kariyawasam from Sri lanka. I passed physical science GCE A/L exam in sri lanka with 3 A and 211 islandrand. I am searching for a free scholarship in engineering for my qualifications . Am Samuel from Ghana. I have complete high school with a science background also would be writing my final exams ON IATA-CANADA travel and tourism. Am currently studing Aviation 101 with Embry riddle aeronauticaluniversity online. I would love to start my dream in aviation to become an aeronautical engineer or an aviation mechanics. Can i get any assistance on how to get a scholarship for the courses? Hello good day madam, am Samuel from Ghana. I would love to be an aeronautical engineer can i get any assistance on the school that best fit me? Hi,I am Sabnam Rasaily from India and I am going to complete my Btech in Civil Engineering in 2018..I so much want to pursue my Mtech course in Abroad but I want scholarship guidance for that..Can you help me how can i get scholarship college for my study? Hi, Its me Sameer Ansari From Nepal I have just completed my +2 Exam i am planning to study my rest of eduction in abroad country with scholarship. So please if ther is any scholarship for abroad country then please msg me for Software Enginnering. Thank you. Hi Sameer, you can find lists of scholarships to study in the UK, US, Canada and many other study destinations here. I am from Brazil and I would like to know how I can get a master degree scholarship in civil engineering, what do I need do apply? I was an engineering student..I couldn't complete my study..do I have chance for a scholarship? I found your list of scholarships and would be excited if our scholarship could be included as well! What do we need to do? All too often, women have to work extra hard to gain the same respect / status as a man in a similar position, especially those in foreign countries. To this end, we at Everipedia have created a list of female reporters and journalists that we believe deserve recognition for their work. The International Women in Media Scholarship aims to bring awareness and recognition to women working tirelessly across the globe in search of the truth. The International Women in Media Scholarship was established by Everipedia, Inc. in 2017. It aims to increase awareness of women in journalism and the media, along with the challenges they face around the world. Applicants, instead of writing an essay, will create a Wikipedia-style biography page for a woman of their choice. A sample list of women will be provided, but applicants are free to chose their own. Our scholarship offers an award of $1000 and is open to all incoming and current college students. - Must be a senior in high school, or currently enrolled in a college / university. - Must be fluent in English. Submissions with poor grammar will not be considered. If you need anything more, feel free to reach out to us! Hi! I am from Malaysia, an undergraduate with degree in Petroleum Engineering. I am looking forward to pursuing Masters of related field outside Malaysia, preferably Australia/Germany/Canada. Any advise is much appreciated. Thanks. Hi! I am from Nepal. I want to study Computer Engineering in US. But I am currently studying in Grade XI. What should I do to study Bachelor's degree in US? Hi, i'm from Egypt..im studying civil engineering and i will graduate in 6 months , i would like to study a master in my field in Germany , Canada or Malaysia and Im looking for scholarships there , so any suggestions please? Hello, I am Mujtaba Sadid from Afghanistan. Do you have any free scholarship in civil or electrical engineering? I am from Cuba. I was recently admitted in a Master in Civil Engineering course at the George Washington University in DC, US. I am looking for scholarships of other sources of financing. Can you please assist me in this task?? Any exclusive scholarships for Pakistani students to study masters in either Canada or Australia? I am Bachelor in Mechanical engineering from Pakistan. I wish to study masters in Engineering Management from either Canada or Australia on partial scholarship. I will appreciate any useful advice. Thank you. Hello all,i hope that you are fine.i'm Ahcene baziz,i'm from Algeria,i'm a student in 4th years at the university,i'll finish my study next year,i'd like to complete my study in germany and i'm looking for scholarship to continue my career,it's an opportunity for me to study there but i need help,someone who guides me,i look forward to get your answer,thank you and have a nice day. Hi Ahcene, please take a look at our list of scholarships to study in Germany. i am currently doing my BE from pakistan.i wanted to know on what grounds the reputed universities offers merit based scholarship? which of the two continents either Europe or USA is a better place to do masters? apart from gre what other grounds are there on which we have to keep an eye? Hello, I'm Mohamed and I'm a Sudanese living in the UAE and I'm interested in studying Mechanical Engineering. I need a full scholarship so I can help my parents.